Desktop Bar is the PUP that uses misleading techniques to prevent removal. Use Reimage to locate malicious components and get rid of them faster than with uninstall instructions. A full system scan blocks virus reappearance and prevents traffic to malicious domains. How can Desktop Bar hijack my computer? How to remove Desktop Bar virus? 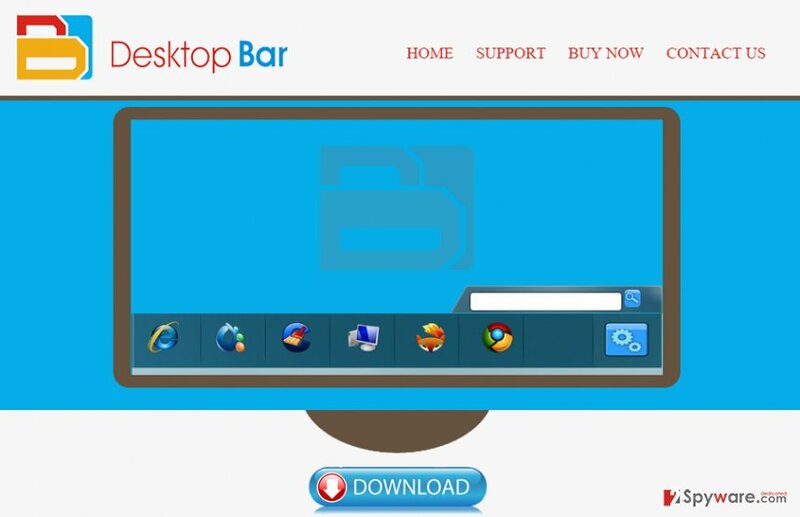 Desktop Bar is one of the potentially unwanted programs (PUPs) that spread as an attachment of other freewares even though they have official websites. Besides, it is considered to be a genuine ‘adware’ since it may generate tons of intrusive advertisements leading to affiliated websites. If you visit the official website of this tool, you may find it really professional-looking and quite informative. 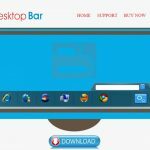 According to its developers, “Desktop Bar is an advanced desktop window based docking station, designed to optimize user performances by giving you access to your favorite sites, applications and news feeds.” However, if you scroll down the site, a question “How to get rid of Desktop Bar ads?” attracts the attention. That’s, in fact, a warning sign indicating that Desktop Bar’s free version is ad-supported, and in order to prevent seeing its ads you will have to pay $2 for the ad-free version. Nevertheless, it’s not possible to prevent seeing “Ads by Desktop Bar” in case it infiltrates your PC’s system via another freeware without asking an explicit permission. Since it supports all types of Windows, and all the most popular web browsers (Google Chrome, Mozilla Firefox, Internet Explorer), each of your web browser may work slower than before and may generate an excessive amount of pop-ups, pop-unders, banners, in-text links, and other intrusive forms of ads. In this case, we do not recommend paying money for the license. The best that you can do is to remove Desktop Bar adware using Reimage or another reputable anti-spyware. 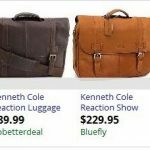 Otherwise, it may become difficult to browse the net due to an unstoppable flow of commercial ads and continuous redirects to unfamiliar websites. In addition to that, by keeping this adware installed on your PC’s system, you indirectly agree to disclose your browsing-related information to suspicious third parties. That’s because Desktop Bar can install tracking cookies and start collecting your search terms, mostly visited websites, data entered in them, clicks, IP address, PC’s location, email address, and similar data. So, there is no point of keeping this useless application that even poses a risk to your PC’s security and stability. Desktop Bar is spread via the official website. Nevertheless, in the majority of the cases, it has infiltrated computers with the help of other freewares and sharewares. 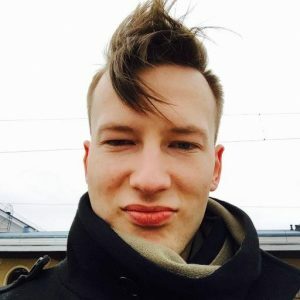 There are hundreds of adwares and browser hijackers that spread via software packages, so if you want to protect your computer from unwanted ‘guests’ that may cause a variety of inconveniences, you should stop thinking that it’s enough to click ‘next → next → next’ for installing freewares. NO. Instead of that, you should check Advanced or Custom installation option carefully and deselect all ‘optional downloads’ if there are any. Here, look for Desktop Bar or any other recently installed suspicious programs. Wait until you see Applications folder and look for Desktop Bar or any other suspicious programs on it. Now right click on every of such entries and select Move to Trash. When in the new window, check Delete personal settings and select Reset again to complete Desktop Bar removal. Once these steps are finished, Desktop Bar should be removed from your Microsoft Edge browser. Here, select Desktop Bar and other questionable plugins. Click Remove to delete these entries. Now you will see Reset Firefox to its default state message with Reset Firefox button. Click this button for several times and complete Desktop Bar removal. Here, select Desktop Bar and other malicious plugins and select trash icon to delete these entries. Click Reset to confirm this action and complete Desktop Bar removal. Here, select Extensions and look for Desktop Bar or other suspicious entries. Click on the Uninstall button to get rid each of them. Now you will see a detailed dialog window filled with reset options. All of those options are usually checked, but you can specify which of them you want to reset. Click the Reset button to complete Desktop Bar removal process. This entry was posted on 2015-09-07 at 23:56 and is filed under Adware, Viruses. You can quickly scan the QR code with your mobile device and have Desktop Bar ads manual removal instructions right in your pocket. How did you remove Desktop Bar ads?